A whole bunch of gamers jumped onto Xbox Live as soon as they got home from a Black Ops midnight event. Treyarch's community manager Josh Olin must have been closely monitoring everything regarding the Call of Duty Black Ops launch last night. It is definitely the community manager's job to keep his finger on the pulse of his company's latest release. So when he casually mentions on Twitter that he's received reports that more than a million people are playing Black Ops on Xbox Live, you better pay attention. "Am I getting solid intel? Is there really almost 1,000,000 players on Xbox LIVE right now?? #CODBlackOps #Launch," Olin's Twitter feed read at 1am Pacific Time this morning. That means that the game went Platinum last night, which was to be expected, but for it to have 1 million concurrent users on Xbox Live is quite an achievement. 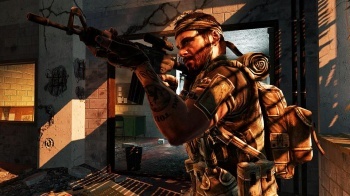 There was no word as to how many people were playing Black Ops over the PlayStation Network or if that included players who were merely playing the campaign. Taking all that into account, it's possible that Black Ops had a fantastic launch. Of course, it's nowhere near as successful as Modern Warfare 2's 7 million on launch day, despite GameStop predicting that Black Ops would outsell Infinity Ward's Call of Duty offering last year. I'm not going to pass judgement until more official numbers are announced, but it is at least clear that Black Ops is doing better than Medal of Honor did. Take that, EA!